You and your family are not alone, and we understand the options may seem overwhelming. With Home Instead Senior Care®, you're on your way to making a positive change. You can feel at ease about their safety. They receive necessary help with groceries. We work with you in arranging the appropriate assistance for their needs. We'll assist you every step - from starting the conversation to making a plan. Many seniors depend on family and friends as their source of help. 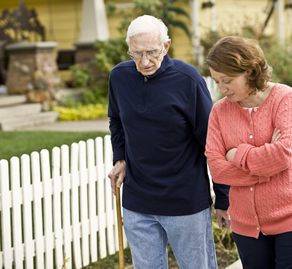 Some seniors receive a combination of Medical and Non-Medical care. Very few seniors rely on Medical care alone. There is a feeling of assurance that the person you love and care for is being taken care of in your absence. That's what Home Instead does. My aunt hates to see her care givers leave. There are times she probably likes to see them more than see me.